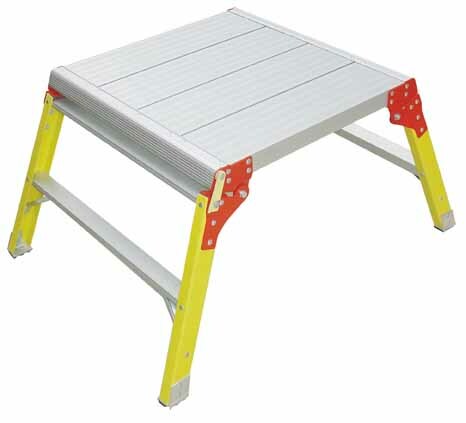 Low level glassfibre working platform which is simple and safe to use with locking hinges for added safety and non-slip platform. Perfect for plasterers and decorators and occasional odd jobs. Lightweight and easy to transport. Ideal for use where electrical hazards exist.